It's been a while since I posted a review and since then I've seen two Marvel movie sequels. Captain America: The Winter Soldier and The Amazing Spider-Man 2 are the latest big-budget FX-heavy comic book films to be churned out of the Marvel Machine. Both films are solid follow-ups to the original movies. I was entertained by both but found Spider-Man to be slightly more engrossing and emotionally satisfying. 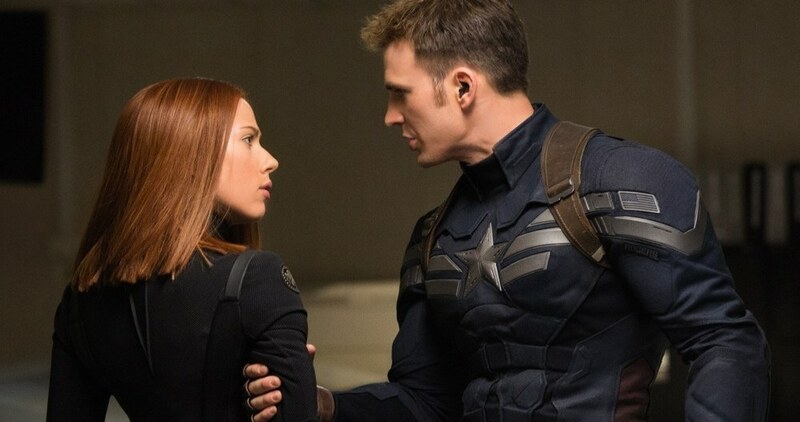 The Winter Soldier stars Chris Evans as Cap himself along with some Avengers stalwarts in Nick Fury (Sam Jackson) and Black Widow (the always welcome eye candy of Scarlett Johansson). New to the Captain America universe are Cap's military buddy Sam Wilson (AKA The Falcon) played by Anthony Mackie, Secretary Alexander Pierce (regally played by the always welcome Robert Redford) and The Winter Solider himself (who has a connection to the first film) played by Sebastian Stan. This movie is action-packed and improves upon the rather slow original film. Big-budget effects mixed with some political overtones help move the story along at a good pace. Evans holds his own as the owner of the starred shield but the surprising glue of this movie is Samuel L. Jackson as Fury. Marvel has allowed Jackson to be showcased in this story and his power and importance to the Avengers as a whole is highlighted here. Redford adds a sense of distinction and poise to the film and the chemistry between Evans and Johansson is solid. However, the movie feels a bit too long and I find myself not caring about Captain America as a superhero as much as I do the rest of the Avengers. I have to give The Winter Soldier a 3.5 out of 5 JR rating (including an extra half-JR for a lot of ScarJo in black spandex which is always a good thing). The Amazing Spider-Man 2 stars Andrew Garfield as Peter Parker / Spidey and features many of the same cast from the original film including Emma Stone as Gwen Stacy, Sally Field as Aunt May and a omnipresent Dennis Leary reprising his role as Captain Stacy in various vision scenes. The film picks up shortly after the events of the previous movie with Peter and Gwen graduating high school and figuring out how their relationship will work (given that Gwen's Dad forbade Peter from dating her and therefore endangering her). Added to the mix as the key villains are Jamie Foxx as Electro and the always interesting Dane Dehaan as Harry Osborne / Green Goblin. The action in this film really is amazing with over the top aerial scenes, great acting from Garfield, Stone, Foxx and Dehaan and a three-pronged climax that is sensational. The emotional core of the movie is Garfield and he gives such a wide range of emotions that makes Tobey Maguire's performance seem very wooden in comparison. Garfield is the right man for the webslinger role and hopefully he signs on for a few more films. He and Stone have natural chemistry (probably because they're dating in real life) and Foxx holds his own as a quirky and sometimes menacing adversary for Spidey. Dehaan (who first caught my eye in Chronicle) is quickly becoming one of the best young actors in Hollywood and his turn as Harry Osborne overshadows what James Franco did in the previous trilogy. Overall this film is about on-par with Marc Webb's original and contains a wallop of a plot twist at the end that sets up a very interesting Spider-Man universe going forward. The middle of the film is a bit slow and Paul Giamatti seems way out of place in his role as the third villain (Rhino). I am giving this movie a 4 out of 5 JR rating and I encourage any fan of comic book cinema to see this on the big screen and in 3D. I must note that both of these films feature INCREDIBLE special effects. We've reached the point in cinema where visual effects are so far advanced that it takes a real outlier (as in Olympus Has Fallen) to stick out with bad effects. Some of the 3D effects at the end of Spider-Man 2 are so crisp, distinct and effortless that it almost feels like watching poetry in motion.